Savannah is nothing if not beautiful but during the holiday season you have a chance to see it at its prettiest. 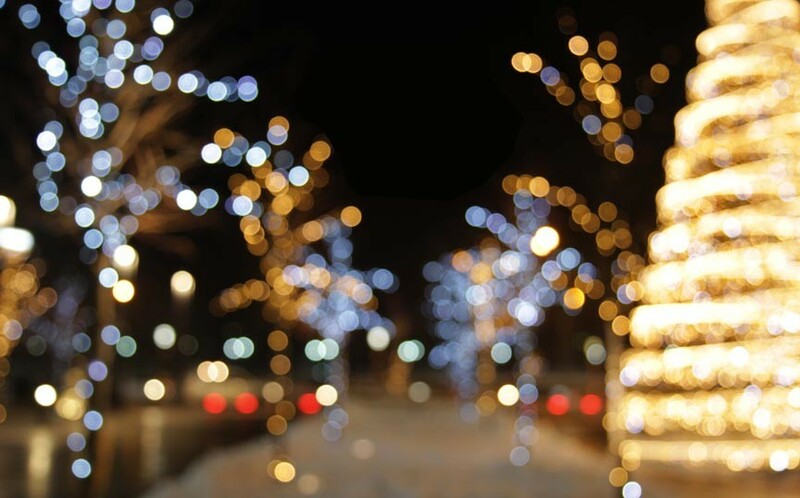 Everywhere you look there are bright decorations, smiling faces, and sounds of the season. And things to do? There’s so much going on in December, the Savannah’s like a giant advent calendar of events. With this in mind, we’ve put together a short list of Savannah Christmas highlights to help you navigate all the festivities our city has to offer at this time of year. Enjoy a holiday-themed tour of Savannah’s historical landmarks, Christmas displays, and more. Available 7 nights a week through November and December and includes 2 stops: The historic Isaiah Davenport House and Massie Heritage Center. Visit www.trolleytours.com for more information. A Christmas parade, Savannah style! Over 40 lighted vessels parade both sides of the waterfront, accompanied by live music performances, a tree lighting ceremony, and fireworks. Tickets available online. Celebrate the season in style aboard a Savannah Riverboat! Savannah Riverboat Cruises offers a variety of holiday cruises, including Thanksgiving, Christmas, New Years Eve, The Boat Parade of Lights, and more! Enjoy live bands, food, cocktails, fireworks, and more. Peruse the offerings at savannahriverboat.com but make your reservations early as these cruises tend to sell out fast! 10 acres of botanical gardens decorated with more than 1,000,000 lights and displays, along with music, snacks, and warm drinks. Learn more at coastalbg.uga.edu. It may not snow in Savannah, but that doesn’t mean you can’t go ice skating! Come enjoy Savannah Civic Centers transformatin into a public skating rink. Visit savannahcivic.com to purchase tickets. Get a glimpse into some of Savannah’s uniquely beautiful homes all decorated for the holidays. Learn the homes’ histories and pick up some decorating ideas for your own home. Tickets and more information at: www.dnaholidaytour.com. We’ve barely scratched the surface of all there is to do and see during your Christmas in Savannah. Ask us during your stay – even if it’s not during the holidays – and we’ll be able to provide you with many, many more ideas. Happy Holidays! 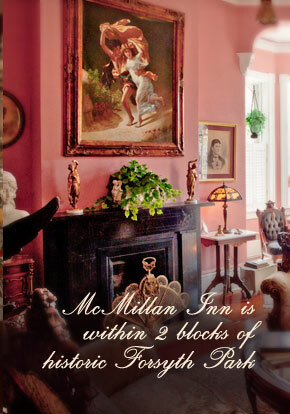 Make the most of your holiday getaway with accommodations at our historic Savannah B&B, McMillan Inn. 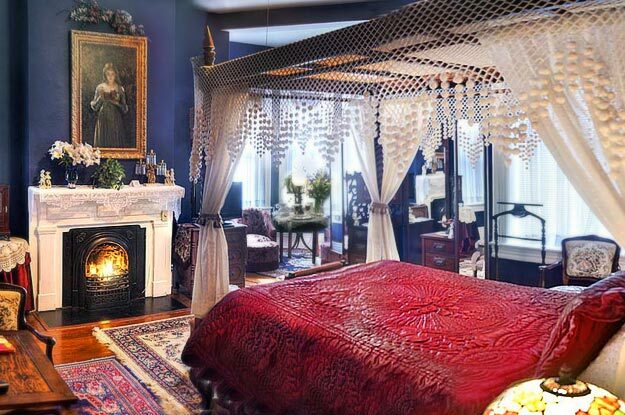 Our lovingly restored, 1888, Italianate Revival inn, located in the Landmark Historic District of Savannah, has twelve guestrooms and a Carriage House to choose from – and all within two blocks of historic Forsyth Park. Book your stay at McMillan Inn today!